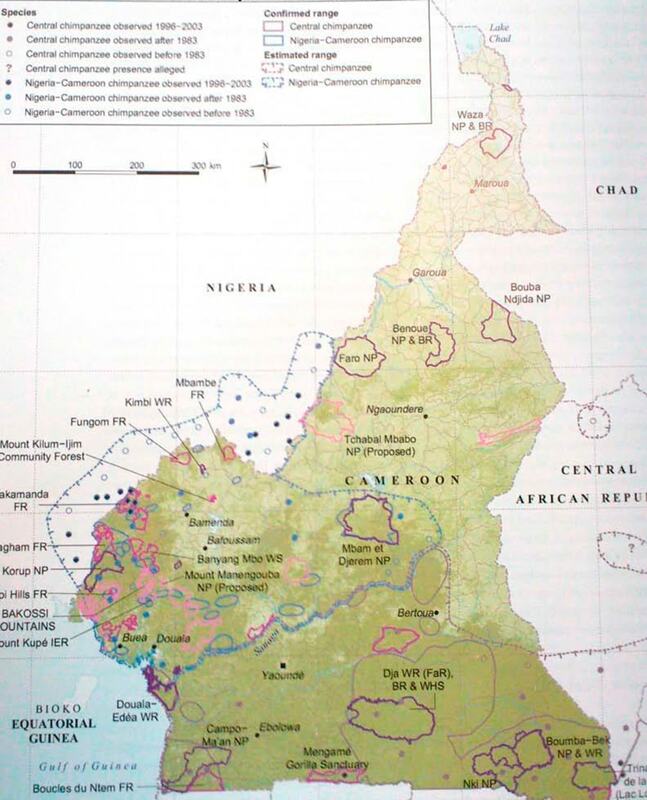 Cameroon’s great apes are spread throughout the equatorial regions of the country. The Nigeria-Cameroon chimpanzee is the most threatened and least distributed of the common chimpanzee subspecies, and could become extinct in coming decades if nothing is done to change human behavior – which includes rapid deforestation and habitat destruction – in this area. The entire population of critically endangered Cross River gorillas, found along the southern section of the Nigeria-Cameroon border, is estimated to be less than 300 individuals, with probably more than half occurring in Cameroon. Due to its very small population and the numerous threats it faces, the Cross River gorilla is considered to be the most threatened ape in Africa.